We will be hosting our annual Income Tax Clinic for S.U.C.C.E.S.S. members from March 1 until May 4, 2019, at five of our major offices across the Lower Mainland. This is a free income tax filing service for S.U.C.C.E.S.S. members only. As the demand for this service is quite high, please register as soon as possible to ensure your taxes will be filed before the CRA deadline of April 30, 2019. Please see below for eligibility requirements, clinic information and registration instructions. Income DOES NOT include rental income, business income, stocks, bonds, mutual funds, dividends, capital gains, etc. All eligible S.U.C.C.E.S.S. members who registered through the phone will be required to present their valid S.U.C.C.E.S.S. membership card at their appointment. Please bring all applicable documents (e.g. T4, T4A, T4A(OAS), T4A(P), medical slips, donation receipts, bus passes, etc.) along with a copy of your 2017 income tax return (Notice of Assessment) to ensure the proper completion of your income tax return. You MUST be present IN PERSON at the Income Tax Clinic. If you need to represent your spouse due to her/his medical condition, then you MUST bring a signed by your spouse. There will be no exceptions. You can access the consent form by visiting https://www.canada.ca/en/revenue-agency/services/forms-publications/forms/t1013.html. It usually takes 1 hour for an individual and 1.5 hours for a couple to complete the service. We do not serve clients during our volunteers’ lunch breaks. To register for an appointment, please call 604-408-7260 with your S.U.C.C.E.S.S. membership card/number ready. Registration will be open from January 21 until February 28, 2019, at 4:30 pm. Non-S.U.C.C.E.S.S. members can register for a membership in advance or on-site during their Income Tax Clinic appointment. For more information about the membership program, please visit https://www.successbc.ca/eng/support-us/membership. Better at Home is program that helps seniors with simple non-medical, day-to-day tasks so that they can continue to live independently in their own homes, and remain connected to their communities. The Government of British Columbia funds the program, United Way of the Lower Mainland manages it, and local non-profit organizations provide the services. Hastings-Sunrise Better at Home is a program designed to help seniors continue living independently by providing non-medical support services. 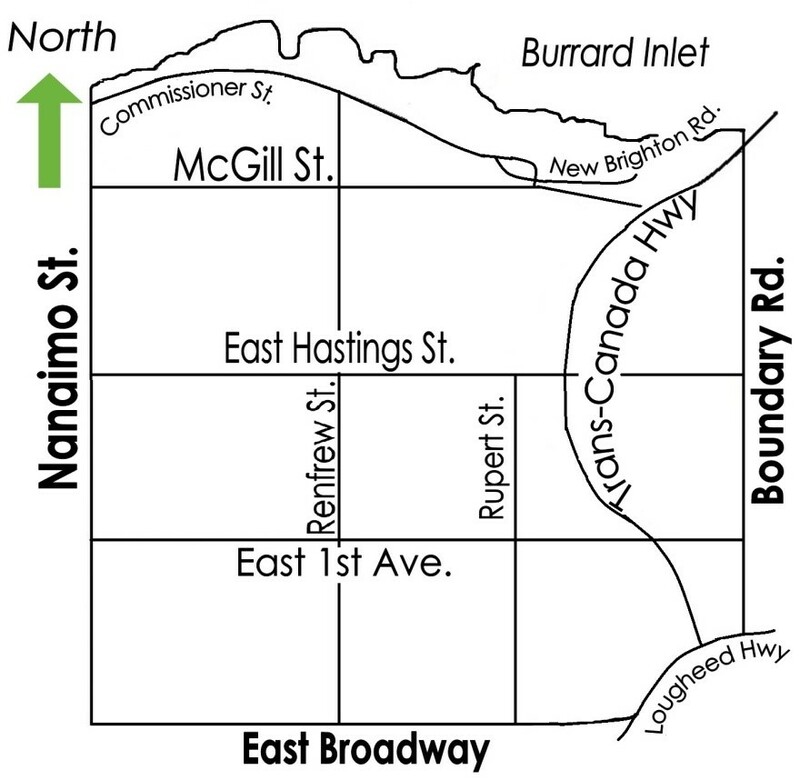 Nanaimo St. east to Boundary Road. 1. Friendly Visiting: Volunteers are matched with seniors for companionship and to increase their connection to the community! 2. Transportation: Door-to-door driving service for medical appointments, to run errands or go shopping. 3. Grocery Shopping Assistance: Support seniors during weekly grocery shopping trips. As a Better at Home volunteer, you can volunteer in more than one service. Please keep in mind, all our services are available only during the week, from Monday to Friday. Help seniors maintain their dignity and independence! Volunteering for Better at Home can be a fulfilling experience. The volunteer department in S.U.C.C.E.S.S. Multi-Level Care Society was established in 2001. Its goal is to provide opportunities for people of all ages in the community to serve seniors living in the care home, assisted living, attending the Adult Day Program, or using the Burnaby Chinese Meals on Wheels program. These elders not only need assistance in activities of daily living, but also enjoy the companionship of people from all walks of life. Each moment a volunteer spends with the elders is precious and appreciated. A successful volunteer is one who helps fight against loneliness, helplessness, and boredom in an elder’s life. If you have a heart for elders and would like to use your time meaningfully, this is the place. We are now recruiting volunteers of all ages to the following service groups. If you are interested in working with seniors, complete the application and return it electronically or by Fax. To assist with adjustment & integration into the community. Interest classes, such as arts & crafts, social dancing.